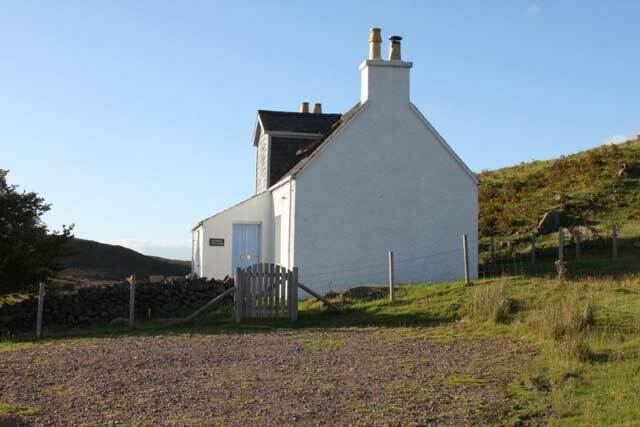 Rowan Cottage is a traditional style highland croft situated in the small hamlet of Arrina on the Applecross Peninsula. 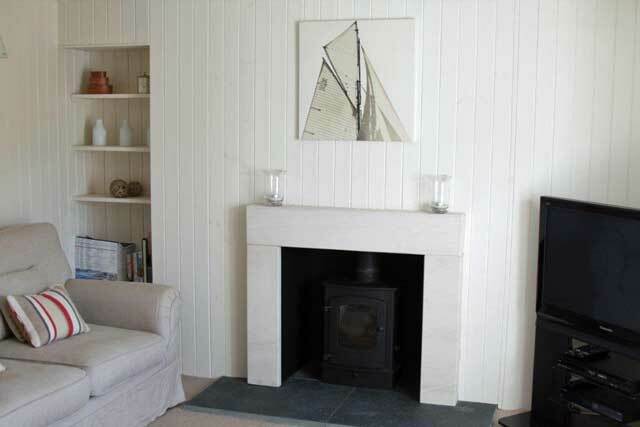 The property has been beautifully renovated and is furnished and equipped to a high standard. The peninsula situated on Scotland’s West Coast is one of the most scenic in Scotland and is an ideal base for a relaxing holiday. Guests enter the property through the slate floored lobby/boot room which then leads into the main house. 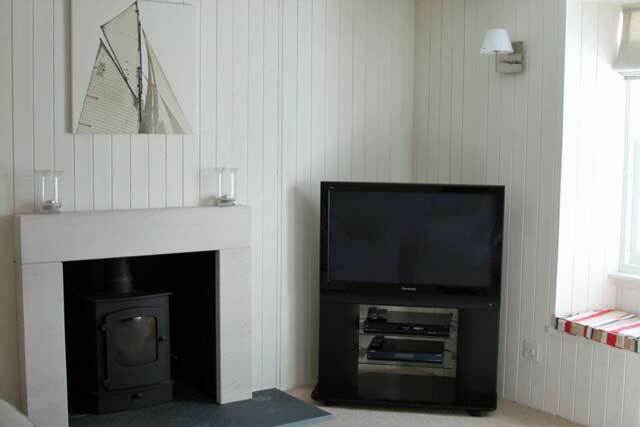 Located on the ground level is the lounge complete with a wood burner, comfortable sofas, TV with Freeview, CD player and iPod dock. A spacious modern kitchen is also located on this level and has all the usual kitchen appliances, and a large dining table with seating for six. Off the kitchen the stairs leads to the two bedrooms, a master with a king size bed, and another with a king size zip and link bed that can be made into twins if required. 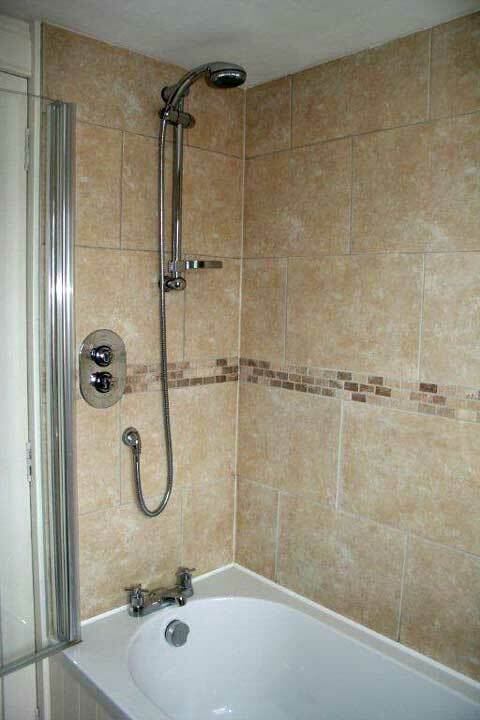 A well appointed bathroom has a bath with shower over, completes the facilities. The house benefits throughout from having oil fired central heating and in the kitchen and bathroom, under floor heating is provided, ideal for those colder months of the year. Outside the enclosed garden has a terrace that wraps along the front of the house, complete with garden furniture it makes a lovely place to sit and relax, and reflect on the day’s activities after a day exploring. The added provision of a BBQ allows for some alfresco cooking and dining. 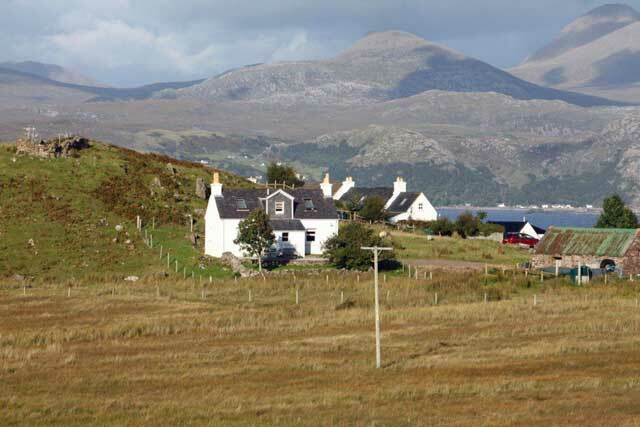 The closest villages to Arrina are Sheildaig (11 miles) and Applecross (14 miles). Shieldaig is very picturesque, the views to sea being dominated by Shieldaig Island, the island now owned by the National Trust for Scotland is densely covered in Scots pine trees, the seeds of which are thought to have originally have come from Speyside in the 1800’s. 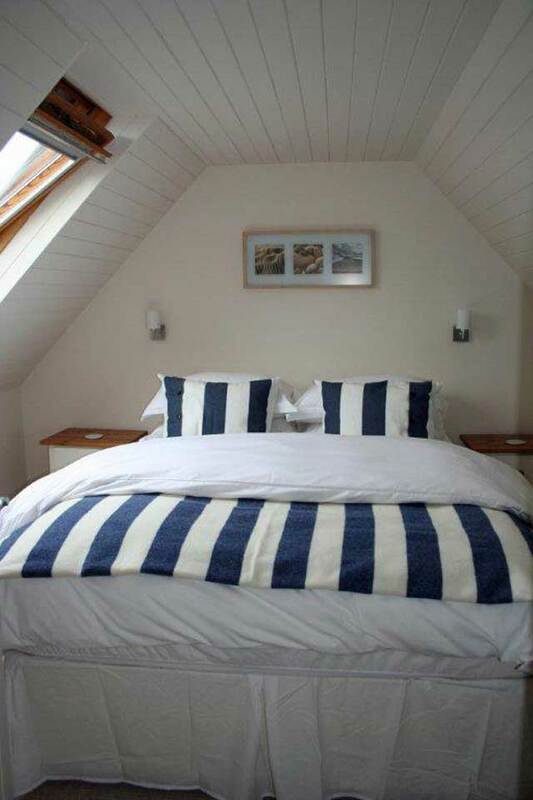 The village benefits from a having a well stocked supermarket, a small coffee and gift shop called Nanny’s, the Tigh and Eilean Hotel, and the Coastal Kitchen Restaurant and Bar. The Coastal Kitchen serves the best of the local seafood, and during the warmer months the restaurant offers outside dining upstairs on its roof terrace. Applecross is probably one of the remotest areas in Britain and is accessed either from the mountain pass of the Bealach na Ba, or the coastal road that runs from Shieldaig. 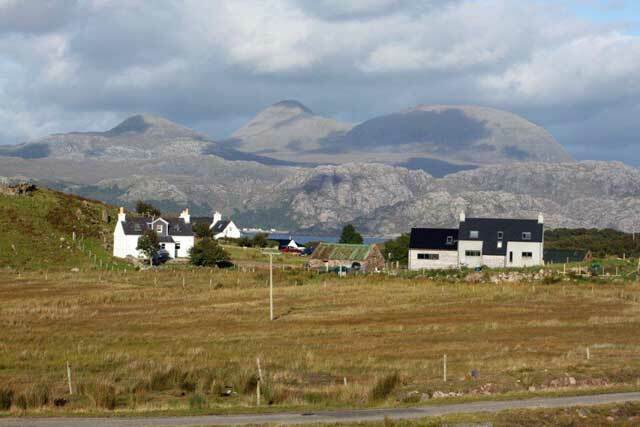 The road from Shieldaig hugs the coastline and the views across to the Torridon mountain range and the islands of Rona, Raasay and Skye, are simply magnificent. Applecross itself can in the summer months become quite busy, the Applecross Inn being a particular favourite for locals and visitors. In addition the Flower Tunnel at the campsite or the Walled Garden and Potting Shed Restaurant are available. 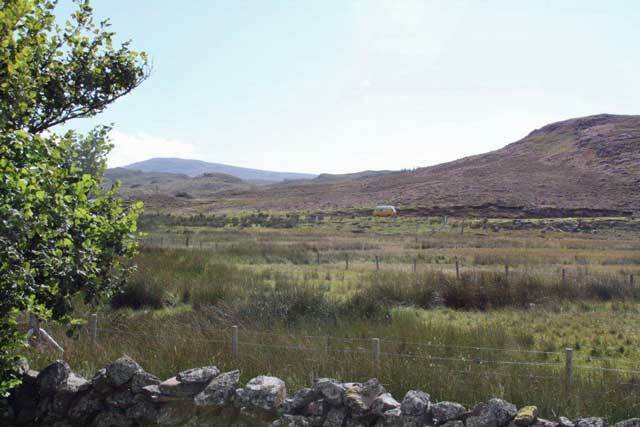 Shopping facilities are limited in Applecross and consist of a small Post Office and a shop which is situated in the neighbouring Camusteel. Lounge - comfortable sofas, wood burning stove, Digital TV, DVD, CD, Radio, iPod docking Station, selection of DVDs, games and books. 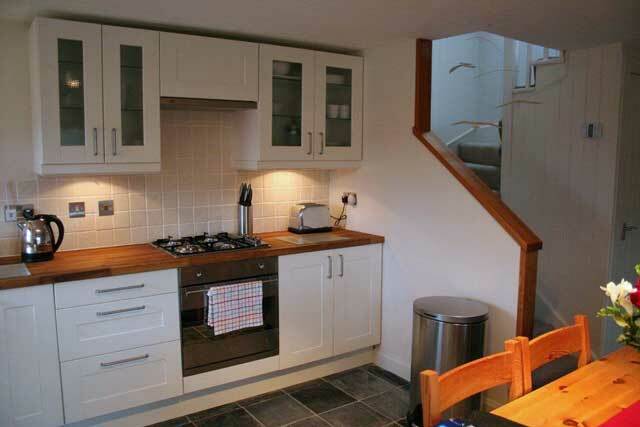 Modern fully fitted kitchen, under-floor heating, gas hob, elecric oven, microwave, fridge, dishwasher. Dining table and chairs for six. Under-floor heating. Lobby/boot room with washing machine and tumble dryer. Master bedroom with king size bed, coombed ceilings, views inland. 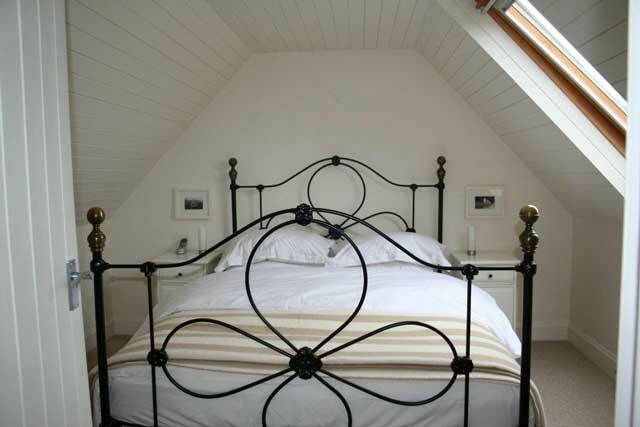 Bedroom with zip and link king size bed, coombed ceilings, views inland. 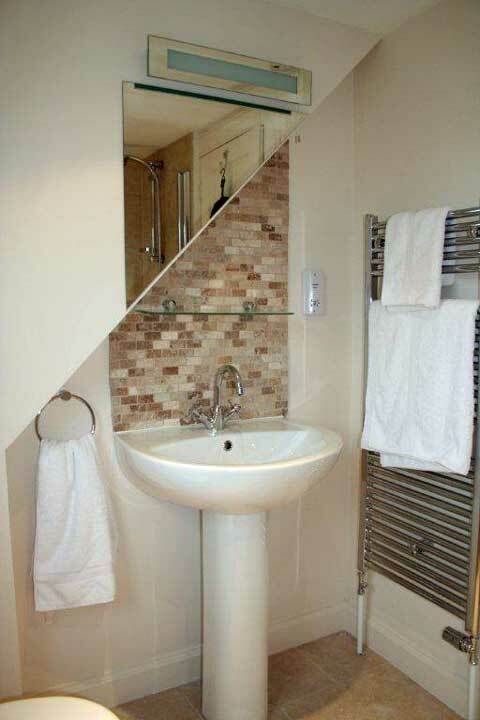 Bathroom - bath with shower over, wc, whb, heated towel rail, under-floor heating. Phone for incoming and outgoing emergency and local calls. 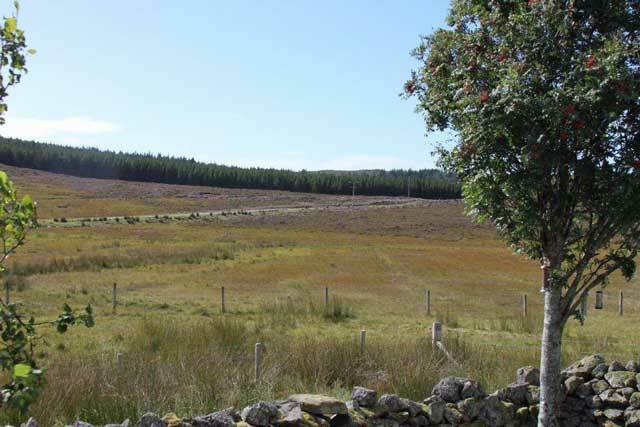 Like all crofts in the vicinity the property has its own private water from a Loch on the local estate. The water is filtered and treated with UV light to kill any bacteria, and is therefore perfectly safe to drink. However as a precaution guest may prefer to use bottled water. A community filling station is available in the village of Applecross, open 24/7 the pumps are automated and accept credit and debit cards. 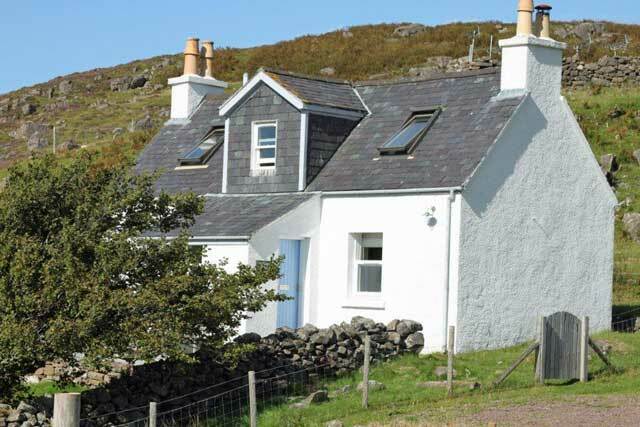 Traditional style Highland crofthouse equipped and furnished to a high level. Walking, cycling and wildlife on your doorstep. 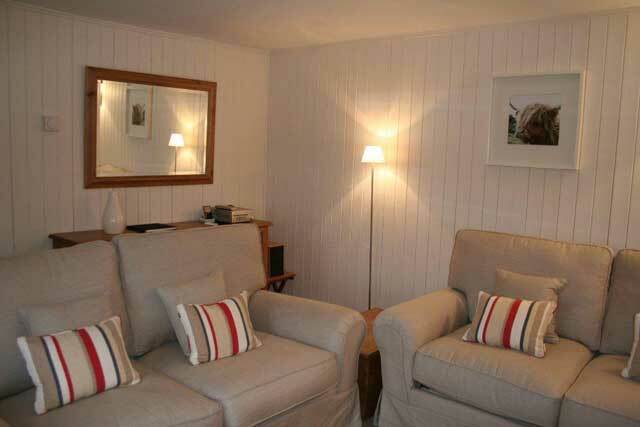 Perfect cottage for the 2 of us - probably the nicest one we have ever stayed in. It is extremely well appointed and comfortable. 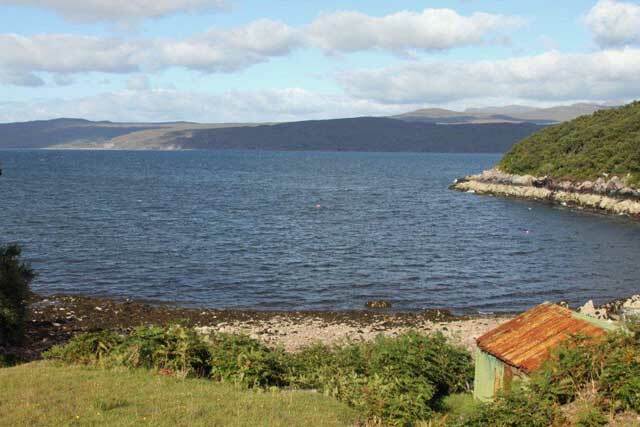 Convenient location for exploring Applecross and Torridon areas with lovely beaches and stunning mountain scenery within easy reach. Plenty of eating out choices within a short drive. 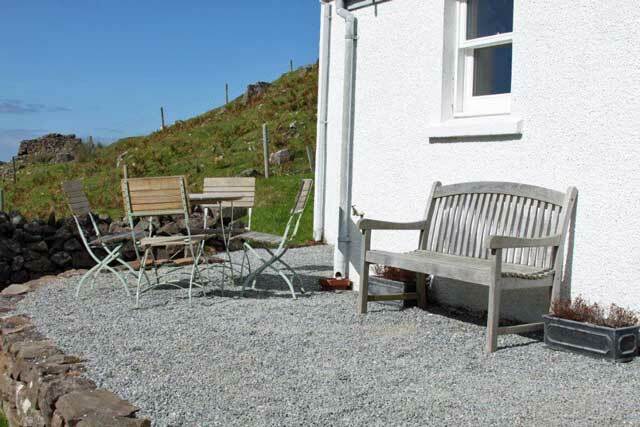 We loved it and highly recommend a stay in this lovely cottage. 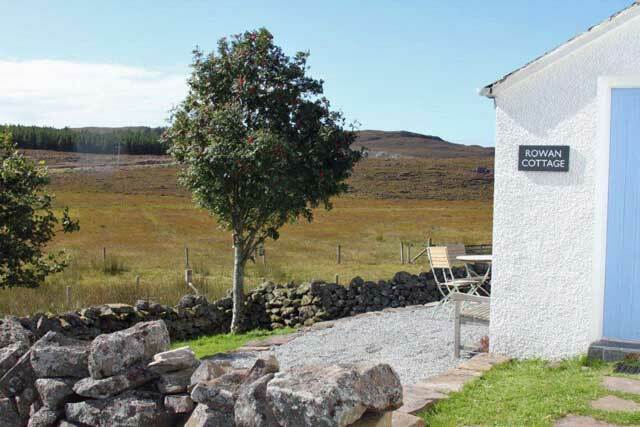 A sweet little cottage in Arrina near Applecross/Shieldaig. 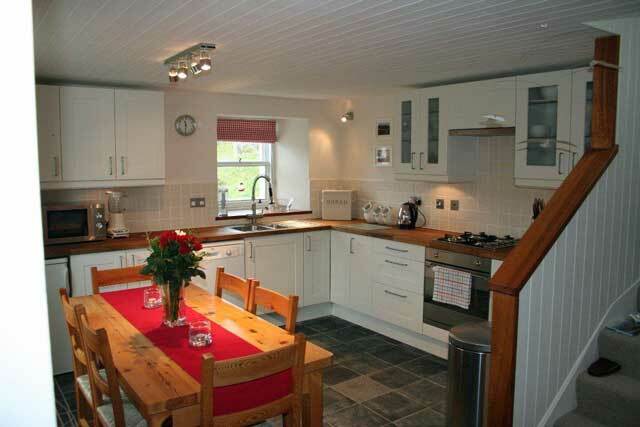 The kitchen was great, and the bedrooms and living room nice too. Open fire was lovely. A welcome pack would have been nice, we usually have this in cottages we stay in.